Litecoin mining remains a hot topic in the mining community. Many of us are interested in the BW-L21 since it is one of the best Litecoin miners so far. The company is manufacturing miners that deliver unbelievable high hashrate. However, apparently 550 MH/s per 950 W power usage is not the limit. Ehsminer, a France-based company announced that they are working on a miner that will outperform the BW-L21. Is this just a rumor or are we really about to welcome the Litecoin / Scrypt miner of the year? Let’s check this out! The Wolf is a new Litecoin ASIC that is meant to deliver 1024 MH/s for Scrypt mining while consuming only 1.4 KW. We are talking about a power efficiency of 1.36 KW/MHS. To put things into perspective, its closer competency features 1.72 KW/MHS. The Wolf can mine any Scrypt-based coins and therefore it is not limited to Litecoin alone, though I am sure most of us will use it for LTC. Here is a full list of Scrypt-based algorithms that are supported by the miner. Mining Software: Cgminer rev3.5 with a dedicated WEB interface for easy configuration. Chassis: Standard 4U mountable rack gives you the facility to build, install and scale your mining infrastructure in standard datacenter. The miner prototype already exists. Ehsminer is planning on starting mass production of the ASIC in late 2017-early 2018. They will be confirming the exact date soon and if all goes well, the first units will be shipped in Q1 2018. The miner is available for preorder. It is priced 2,900.00€ per unit excl. VAT. The company accepts a wide range of payment methods, which are: LTC, BTC, NXT, ETH, ZEC, DGB, ETC, DOGE, LSK and some other cryptocurrencies. They also accept bank transfers. As for today, the Wolf got a ROI of 3 months. This will indeed change once more people will receive it, but it is still impressive for a modern LTC ASIC. Again, its closer competitor got a ROI of 5 months. The miner got a 12 months warranty. This is understandable since Ehsminer is based in France and the 1 year warranty is established by EU law. On the website, there is no mention of MOQ. Does that mean that we can order as many units as we want? If that is really the case, then I am sure that the ASIC will quickly become the top pick both for low-scale miners and mining farms alike. Ehsminer is also working on a second version of the miner that is expected to feature even higher power efficiency than the Wolf version 1. By outputting 2 GH/s with a power consumption of only 1.2 KW, the Wolf v2 is meant to become the new standard in Litecoin mining. 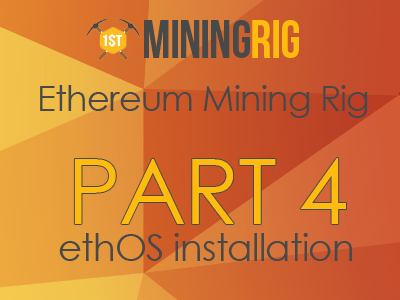 On their website, Ehsminer writes that “All customers who will purchase the 1GH version will have early access to the 2GH version.” Considering the huge efficiency of the Wolf v2, the ASIC will definitely become a difficulty bomb. By having early access to the miner, we can potentially reap the benefits of the huge hashrate before the bomb drops. It is worth mentioning that Ehsminer is a company registered in the EU. This is rather new for the ASIC industry since traditionally all big ASIC manufacturers are based in China. So apparently, Ehsminer activity is regulated by EU law. This might give us some warranties and protection when purchasing from them. Also, this might positively affect shipping times and costs too. What about Litecoin price going down past days? Litecoin price went from almost $90 USD/LTC down to around $45 USD/LTC in a matter of weeks. Right after people started to take Litecoin seriously, its price went back to the lows. In theory, anything can happen and no one can be certain on the future of LTC. However common sense suggests that despite its ups and downs, Litecoin average price will be steadily going up over the next months and years. The reason to that is that Litecoin is technologically one step ahead of Bitcoin. The cryptocurrency got real value for those who understand the tech side of crypto. Earlier in the year, Litecoin dev team has released a quite interesting roadmap and as we can see today, they already have implemented some of the planned features. A coin that got real value has more chances to be priced high in the market than one that is based on hype alone. Despite the expected ups and downs, Litecoin mining is booming. A couple of great LTC miners are announced to be released in the next months and the Wolf is definitely on the lead. I am keeping a close eye on the upcoming miner and I will keep you up to date on any news.